Friday nights don't have to be boring and repetitive. No extra money to spend on going out on a Friday night? Worry no more! 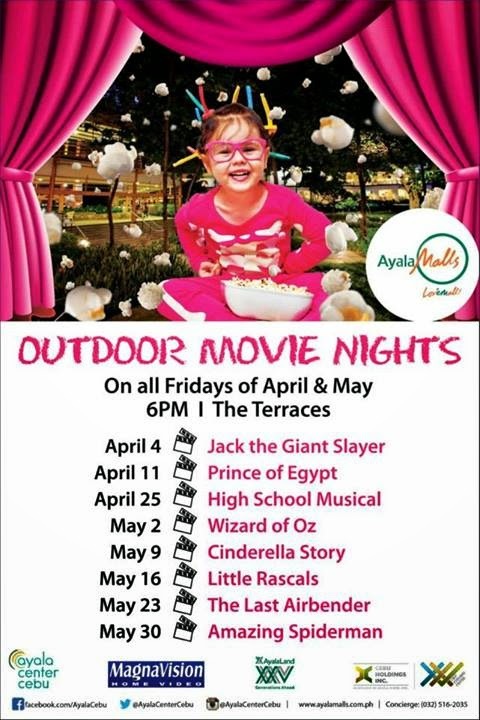 Ayala Center Cebu has found a great way for families to spend quality time through an outdoor movie! They have lined-up a couple of not-so old movies on all Fridays of April and May. These movies will be perfect for the entire family and the best part is that its FREE! Bring in with you your home-made goodies, buy popcorn or some of your favorite movie treats and enjoy the movie. Check out Ayala Center Cebu's Facebook page for more details.